Participating in an employer-sponsored plan such as a 401(k) is one of the simplest ways to accumulate savings specifically earmarked for retirement. 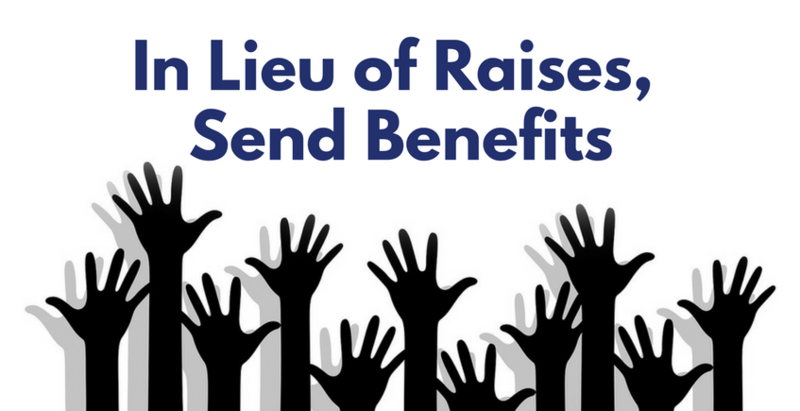 Contributions made through paycheck deferrals provide steady savings over time, and when combined with smart investing, can add up to a substantial amount by the time retirement age comes around. Unfortunately, investing missteps are all too common in 401(k) accounts, due in part to a lack of education surrounding how the accounts work and the investment options made available through each plan provider. Investment blunders often lead to dismal returns and for some, result in missing the mark for an anticipated retirement date. 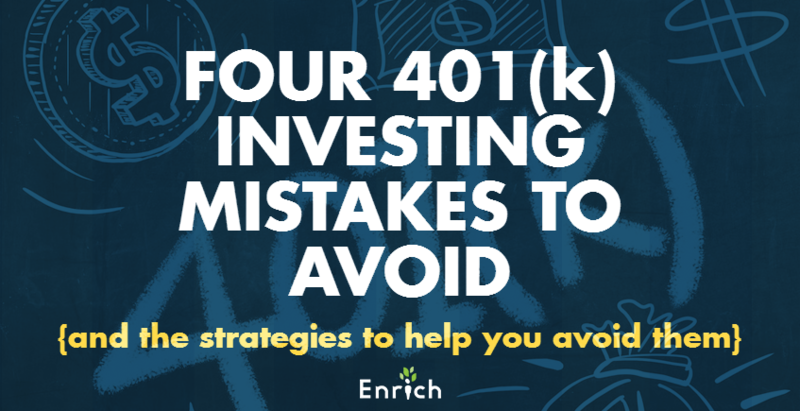 Here are the four most common investing mistakes made within 401(k) accounts and the strategies to help you avoid them. The most recent market turmoil spawned by the housing crisis of 2008 left millions of investors with a sour taste in their mouths regarding investment risk. Many individuals lost exorbitant amounts within their 401(k) plans and have since been wary of jumping back into the markets. 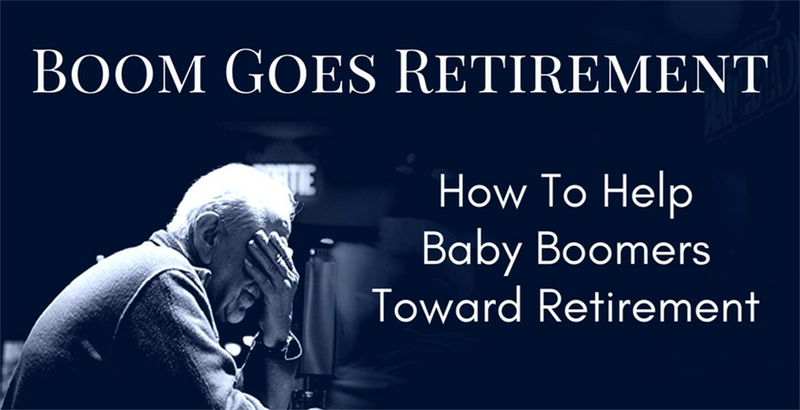 However, staying on the sidelines by remaining in cash or another conservative position within a retirement account typically results in falling short of a retirement savings goal. For those who have a long time horizon until reaching retirement age, playing it safe within a 401(k) has lasting implications. An individual who is 30 years old, diligently setting aside $7,500 per year earning a 6% return on her investment would accumulate slightly more than $1 million by the time she reaches age 67. Conversely, the same saver earning 1% would accumulate only $337,145 in the same time frame. Taking on some risk to reap the potential reward through appropriate investing is often necessary to achieve long-term retirement goals. However, individuals who want little or no risk exposure in their 401(k) investments should utilize a retirement savings calculator or speak with an advisor to determine the best rate of savings based on low-interest earnings. The process of selecting investments within a 401(k) is made somewhat easier thanks in part to the data the Securities and Exchange Commission (SEC) requires fund managers and investment companies to pass on to investors, including past performance. While historic returns can be a strong indicator of a well-managed fund, focusing on performance from the not-so-distant past paints a blurry picture for investors. All investments go through cyclical changes over time, meaning a fund that has recently generated high returns may not do so through the next market cycle. If you are focused solely on top performers based on past returns, you are more apt to sell out of an investment when it does not live up to its historic performance. In most cases, not holding an investment through its full cycle results in buying high and selling low – the opposite of smart, non-emotional investing. Instead of placing the greatest weight on past performance, focus on diversification among different asset classes, such as stocks and bonds, and evaluate the objective of each investment prior to adding it to the mix. Another common 401(k) investing mistake is foregoing the process of diversification. An investment portfolio that consists of only company stocks has the potential to earn more over time than an investment that sits idle in cash or money market account; however, with potential reward comes substantial risk. Investing in only one or two corporate stocks means you are betting that the underlying companies will continue to perform well and remain financial stable. Should that turn out to not be the case, the entire value of your investment could quickly fall to zero. Diversification allows investors the ability to spread the risk among different classes of investments, including stocks, bonds and cash. Historically, stocks and bonds have had an inverse correlation, meaning that when one increases in value, the other falls or remains stagnant. Maintaining a mix between all available asset classes helps in reducing the overall risk of the investment within your 401(k) for the long term. Participating in the stock market is a gamble, even for the savviest investors and fund managers, and investing within a 401(k) is no different. By and large, investment options within 401(k) accounts are mutual funds – actively managed bundles of stocks or bonds that try to outperform broad market returns. While attractive on their face, mutual fund managers do not always succeed in beating the market, especially when management fees are taken out. Investors can avoid the misstep of attempting to outperform the market by placing passive funds, such as exchange-traded funds or index funds, in a 401(k) portfolio. Passive funds simply track the performance of an index, such as the S&P 500, instead of trying to outperform it. The addition or substitution of passive funds lowers the overall cost of the portfolio, paving the way for higher net returns over time. Employer-sponsored plans offer a smart, simple method to shore up retirement savings, but take care to bypass common investing mistakes. Focus on taking calculated risks with your investment selections, and be sure to evaluate those selections with more than past performance in mind. Remember that diversification is key, and when combined with lower-cost investments, your 401(k) portfolio has the potential to help you reach your retirement savings goal.